RankBrain is one of the latest innovations by Google. It is a machine learning artificial intelligence system that can process various Google queries with help from its ability to continuously learn. 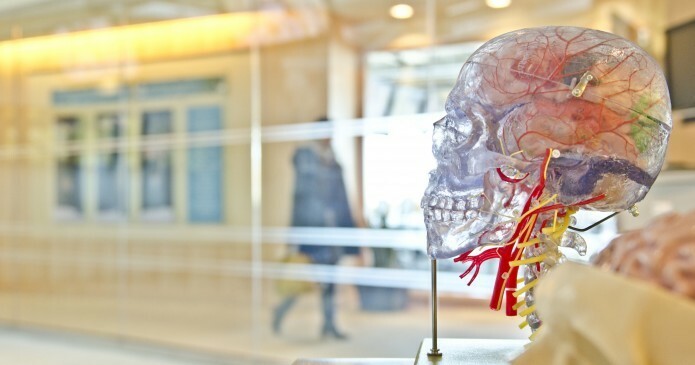 For now, we understand that Google uses RankBrain for just a small percentage of search queries but in the long term, if the system proves to be viable, we might see it implemented on all Google searches. First noticed in October 2015, RankBrain’s top priority was processing brand new queries. However, as it turns out, it showed best results when returning suggestions for long-tail keywords. It is also useful when dealing with ambiguous queries, keywords with multiple meanings, poorly defined queries, slang as well as any other word formations which were previously problematic for Google. Given RankBrain’s importance, it is no wonder that Google has kept the system’s technology a secret. We know very little about it. However, we can easily deduce that the intelligence system has numerous similarities with previous algorithms created by Google. 1 – When it comes to understanding the semantics behind the intelligence system, we discovered that there are several similarities with Hummingbird (a primary Google search algorithm). RankBrain can understand the meaning of the text and extract the most important points. But, unlike Hummingbird’s algorithm, RankBrain is also able to comprehend real intent behind queries. In other words, search no longer revolves around finding precise words within the text. The machine learning system is also about giving direct answers to questions, regardless of the phrase used to formulate it. →Keep in mind that Hummingbird is still the main algorithm within the Google search engine. RankBrain is currently a modification that can help it process troublesome queries. Experts believe that Hummingbird and RankBrain work together, while at the same time, processing queries separately from each other. Nevertheless, according to what we know, RankBrain is only concerned with a small number of keywords, usually when you can’t find a proper answer. In that regard, although hailed as a BIG change that will alter the world of SEO, its real potential, remains to be seen. RankBrain is most likely augmented by Google’s Knowledge Graph. It provides an excellent database that will help extract information which you can, later on, use for establishing different connections. 2 – We also noticed certain similarities with Word2vec. To use words, RankBrain first has to convert them into vectors. This conversation factor is the same principle under which Word2vec works. This way, the system can put keywords into virtual space. ***Connections between two keywords are established based on proximity. ***If they are close to each other, two keywords have a higher correlation. If they are distant, they are not as well correlated. Based on this technology, RankBrain can establish whether a sentence is necessary to a particular query. If a particular word or a phrase is mentioned within the text, without any other semantically related keywords being present, the system concludes that it is just a random mention and will not give it much weight in comparison to other topics. This intelligence is crucial for revealing the full intent behind an article. 3 – Lastly, we have Google AdWords. As far as we know, relevancy is the deciding factor for RankBrain when ranking different content on the internet. However, unlike standard Google rankings that rely heavily on outside signals such as links, it has its own independent internal system – very similar to Google AdWords. What is the purpose of RankBrain? Each day, there are about 450 million new search queries. A vast majority of them are poorly defined. In some cases, there is not enough data so Google cannot give a relevant answer. Keeping this statistic in mind, a large number of people will not get a proper response to their query. As a result, Google invented RankBrain – which can make a solid conclusion based on limited data that it has. Before it shows suggestions, it will make initial testing that will corroborate whether the results are suitable. We mentioned that RankBrain continually learns and improves itself. Based on this, we conclude, that even if the system provides bad results to the end user, one can learn from its mistakes, ultimately, giving better suggestions. Unlike previous technology, RankBrain is not only providing suggestions but is also able to polish them as time goes by. In this regard, user feedback is crucial for determining whether a query is suitable or not. What is a machine learning system? These smart observations are why RankBrain is considered a machine learning system. Nevertheless, it shouldn’t be confused with artificial intelligence. Machine learning represents a process where a system (machine) can improve itself over the course of time without any human interference. On the other hand, official intelligence is the last step in its evolution where the system can have human-like behavior. Of course, as of today, 100% artificial intelligence is still out of our reach. As it turns out, there are numerous ways we can use Google’s RankBrain system to our advantage. Advantage #1: RankBrain can follow our train of thought and provide results based on our previous queries. After implementation of the machine learning system, Google can understand that we are not “really” asking for this result. Instead, we are looking for a direct answer to a direct question. If we type in “How old is his wife?” RankBrain will recognize that we are looking for data on Michelle Obama based on our history. In the future, Google will become more like humans. At one point, we will feel we are conversing with a real person based on the dynamic process. Advantage #2: Another thing that makes RankBrain stand out is the way it understands the meaning behind words. 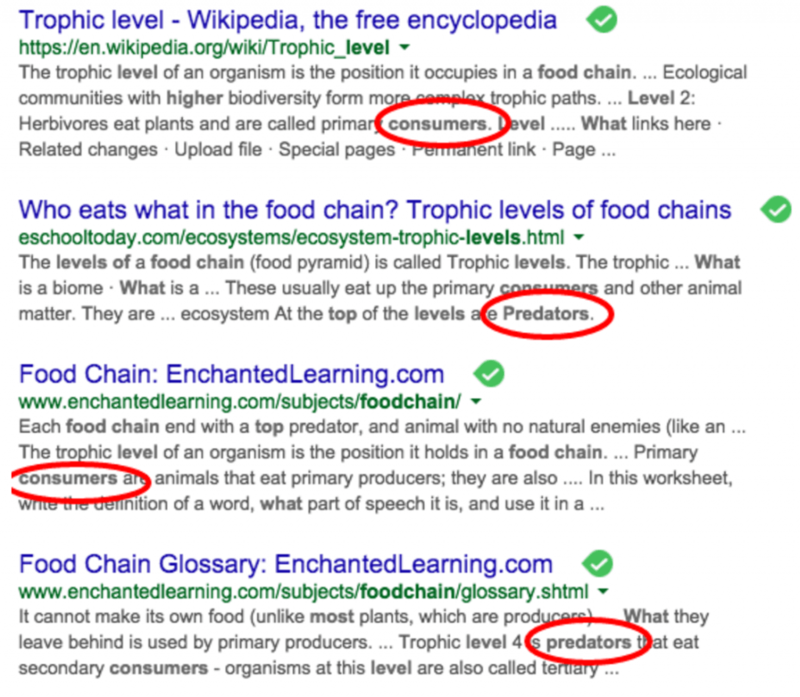 In this particular example in the image above, the query “What’s the title of the consumer at the highest level of a food chain” was used. There are numerous ways you can interpret this search query. It would be hard for a human being to understand the purpose of the question. However, RankBrain can conclude that the individual is asking for additional info on predators. How do I prepare for RankBrain? Based on our current understanding, RankBrain is the third most important search ranking factor. However, we are still uncertain what this precisely means and whether you can view this machine learning system in the same way as traditional ranking signals. It is something that affects rankings but only when it comes to a smaller number of queries. What should be concerning is the fact that RankBrain has its own parameters of establishing the importance of content. In that regard, strategies which were previously valid, such as link building may prove to be irrelevant in the future. However, we are not certain if this will disrupt current rankings – placing all articles at point zero if Google decides to go with RankBrain technology for general queries. The real question is, should you optimize for RankBrain? 1 – Google still gives an advantage to well-written, educational content which can improve a user’s experience. 2 – The main thing that changed is the perspective from which Google observes your content. However you put it, RankBrain should not affect your current SEO strategy. There are still numerous questions. Given that RankBrain is relatively new, some time will have to pass until we have a better understanding of the system and what it brings. Guest author Nikolay Stoyanov is a well-known SEO expert. As RankBrain grows in importance, we will continue to check in with Nikolay. Please feel free to add your thoughts on RankBrain in the comments below. We’d love to discuss this topic further with you. Nikolay Stoyanov is a well-known Bulgarian SEO expert with over 8 years of SEO experience. His SEO blog is NikSto.com. He's a huge fan of Brian Dean and a proud graduate of his SEO That Works online course. Nikolay practices 100% white hat SEO techniques and has a vast experience in keyword research, on-page optimization, SEO auditing and link building. He always enjoys learning new things, making new friendships and improving his skills all the time.